Hold the dates or Buy Your Tickets now! When your grandkids bring you their dating problems, and ask you how you met, the answer is "That's Amore!" 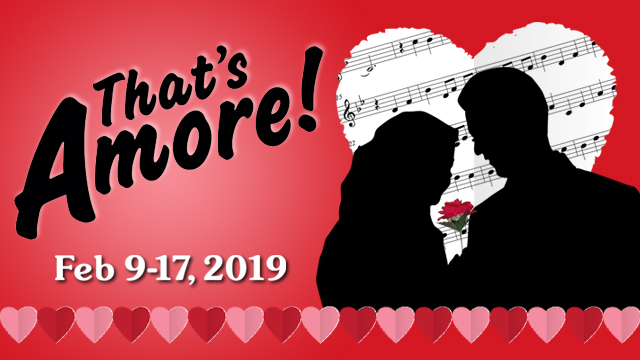 Join grandma Jenny (Susan Baushke) and grandpa Michael (Steven Arvanites) on an intimate journey from adolescence through the golden anniversary years as they tell their grandchildren their story through flashbacks on their lives. Lives the comic mishaps and frustrations of dating, go on the couples' first date with them, and experience the joys and sorrows in a lifetime of seeking and finding love. Accompanied by a terrific instrumental combo (Cody Michael Bradley, Sean Godvik and Jerry King), this original 2-person show features beloved selections from stage and screen, and even includes some audience participation. This is a must-see for all ages. Bring your memories, your valentine, your kids, and celebrate together. 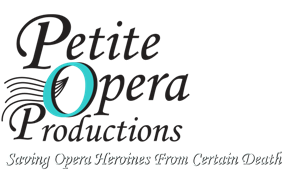 Call 847-553-4442 or email tickets@petiteopera.org. NOTE: Credit card numbers not taken over the phone. and buy tickets at Box Office. Sold-out performances will be noted on the Ticket Hotline: 847-553-4442. 2 hours including 15 minute intermission.